Fine art. Art with cats. 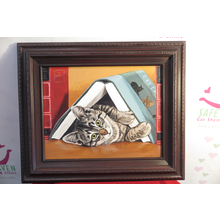 Fine art with cats. That’s what we’ve got in this eclectic section of the Auction. 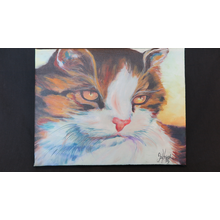 Make your guest meow with envy over the cool cat art you found at the Ball. Make sure to come back April 6 to start placing your bids in our online auction that will close at the event. 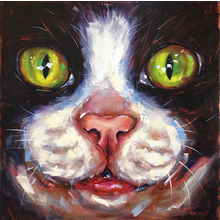 Original cat painting on canvas by Jody Houston.